Our dental team has been providing great dental care to the people living in Tulsa, OK and the surrounding area since 2010. We offer comprehensive dental care for your whole family, but what really helps us shine is our fantastic team. Our staff is both highly trained and exceptionally friendly. Shannon Richardson is Dr. Cornell’s lead assistant. 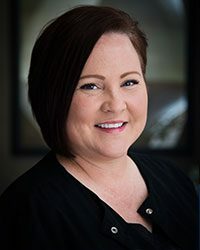 She has worked as a dental assistant for 17 years and is extremely knowledgeable of procedures and is delighted to answer any questions a patient may have! She takes great pride in ensuring the comfort of each patient and does an awesome job walking patients through treatment. She will make you feel right at home in the chair. Shannon enjoys walking and spending time with her friends and nephews and enjoys being “fun Aunt Shannon”. Lacey Shriver attended Oklahoma University for Dental Hygiene and graduated in 1999. 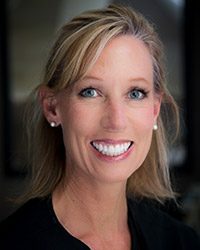 She has practiced dentistry in Missouri, Connecticut, and Oklahoma. She also traveled around the United States and trained other dental offices on the use of Invisalign Orthodontic treatment. Lacey has lived in Owasso for the past 7 years and loves to spend her free time with her family. Playing tennis, boating with her husband and girls, and watching her girls sing and play guitar are a few of her life loves! 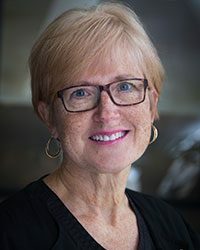 Sherrie Stottlemyre has worked in dentistry for 45 years. Sherrie is trained as a dental assistant and to work in the front office explaining dental treatment and insurance. She is able to walk patients through treatment plans and make sure they fully understand procedures. Sherrie Stottlemyre and her husband have 4 children and 2 grandchildren. They enjoy hanging out by their pool and hiking. 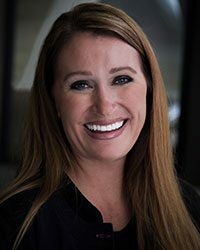 Patients enjoy Sherrie’s warm nature and appreciate her wide span of dental knowledge. 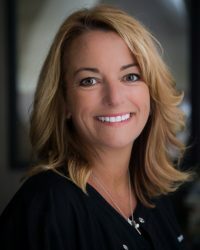 Dawn Schaffitzel comes to our office with over 24 years of dental experience and knowledge. She loves what she does and is always happy to explain your treatment, help you understand your insurance or just offer you a comforting word of encouragement before your appointment. Dawn and her husband Mark have been married for 20 years and have two amazing young men. They enjoy spending their weekends outside camping, racing motorcycles, hunting or joining family and friends at the lake. 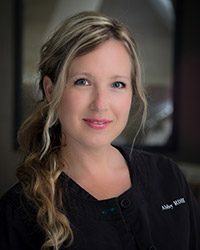 Abby Eckerd-Sweet attended Oklahoma University for Dental Hygiene and has worked in the field for nine years. She enjoys spending time with patients and treats them like family. She is a wife and mom to two great kids. She is active in church, loves baking and photography. Susan Miller received her Bachelor’s of Science in Dental Hygiene from Baylor University. She grew up overseas and speaks fluent Spanish. She is a wife and mom of three children. When not at work she enjoys spending time outside with her family and friends.